R.E.A.L. Elections: Mr. Lahoud treasurer of the board! 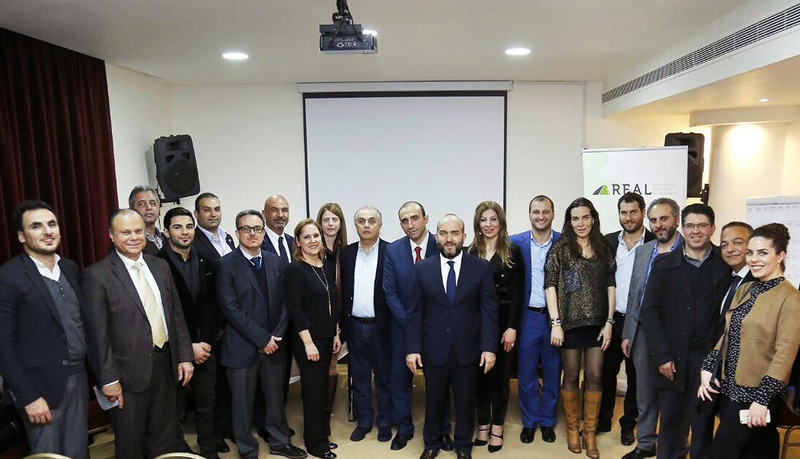 Mr. Walid Moussa was elected president of the real estate brokers and consultants REAL succeeding Mr. Massaad Fares and the results were based on an election that was held to choose four new members of the executive board of the union at the “Monroe”- Beirut Hotel in the presence of representatives from the Ministry of Labor Mr. Ali Ghandour and Mr. Nabil Esber. Mr. Walid Moussa was re-elected as one of the four members as well as the three members of his list: Mr. Tony Lahoud, Mrs. Samar Abdel Khalek and Mr. Mohamad Sinno. Furthermore, Mr. Massaad Fares and Mr. Tony Abou Rizk voluntarily resigned from the membership of the Board, so the two candidates Mrs. Mireille Korab Abi Nasr and Mrs. Maha Atallah took their places. Mr. Walid Moussa was elected as a president of REAL, Mr. Sinno as a vice president, Mrs. Korab as a secretary of the board and Mr. Lahoud a treasurer of the board at the first meeting of the Executive Council. Congratulations for Mr. Walid Moussa and for all the members and best of luck for Mr. Tony Lahoud, General Manager of Phoenica Real Estate. We believe that the upcoming years will be full of success!